This will probably be a close race. Maybe. But Brown will win. 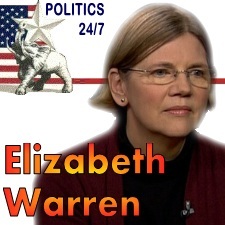 While liberal Elizabeth Warren is not yet the nominee, she is leading her Democrat primary opponents by such wide margins that there is no reason to belive that she wont be her Party’s nominee and most people are already talking about this election in terms of the general election between her and Scott Brown, who is unopposed in his primary for the G.O.P. nomination. Warren will run an aggressive campaign and as a darling of liberals, she will receive a good deal of national support from the socialist base of the Democrat Party. For many liberals, Warren’s election is a source for revenge. 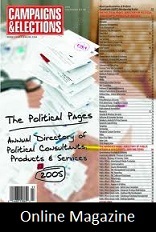 After Republicans denied her an appointment by President Obama to head up his new bureaucracy known as the Consumer Financial Protection Bureau which was a creation of the Dodd-Frank financial reform legislation, the left has made it a point stick it to Republicans by sending her to Washington to have a say through another branch of government instead of through the one she was denied. But revenge for her rejection to a federal post is not what is motivating most Massachusetts voters. If anything, Massachusetts voters want revenge for out of control spending, over-regulation, joblessness, and the general economic malaise. That is the mentality that helped elect Scott Brown to replace liberal lion Ted Kennedy in a 2010 special election which saw Bay State voters reject the Democrat that President Obama campaigned quite hard for. 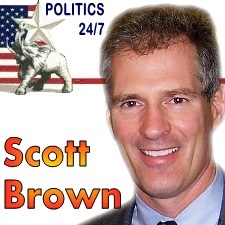 Since that time, Scott Brown has largely pleased Massachusetts voters with his record on economic issues and having avoided getting entangled in the more socially conservative and controversial issues, he has failed to rile up the predominantly left of center voting base of Massachusetts. This means that Scott Brown is in a good position to ask voters to keep him on to do the job the selected him to do two years ago. Interestingly enough, despite Mitt Romney’s place at the top of the ticket in Massachusetts as the Republican presidential nominee and despite Romney being a former Massachusetts Governor, he will probably not help Scott Brown among Bay State voters very much. Romney will probably lose Massachusetts, but Brown will not suffer the same fate. There will be enough ticket splitters to carry the day for Brown. Many of them will gladly support Obama but will make it a point to keep the President in check by sending Scott Brown to the Senate as a means of insuring a sense of balance.